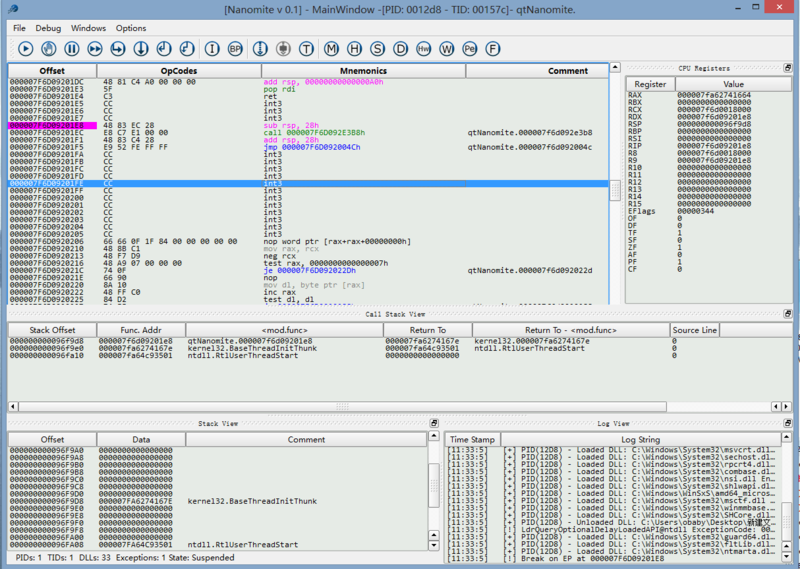 Affinic Debugger GUI, aka. 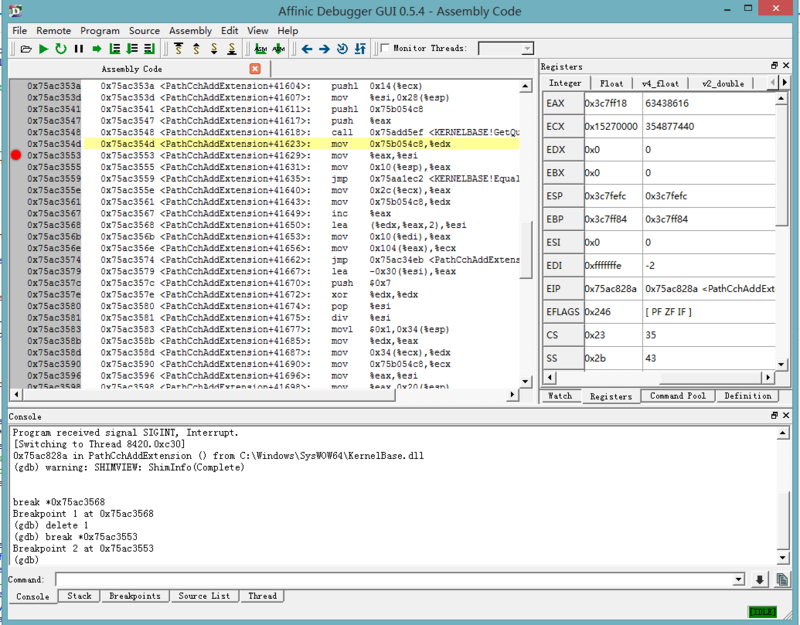 ADG, uses multiple document interface(MDI) design so that it can open multiple source viewers and one assembly code viewer. The surrounding docking widgets are fully movable and provides various functionality. 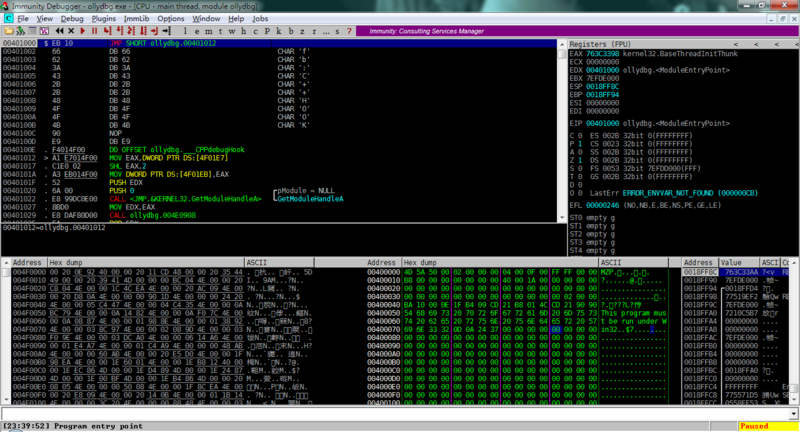 They are console, stack, breakpoint, source list, watch, register and command pool widgets.